Rakuten is Japan’s largest e-commerce company, and one of the world’s largest. (In revenue and number of employees, it’s very roughly one-tenth the size of Amazon.) Although word Rakuten in Japanese means ‘optimism’, the company is realistic about their lack of familiarity in the UK. 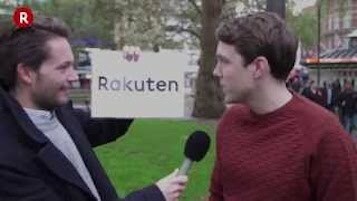 They’ve even made a light-hearted video called ‘What is Rakuten?’ in which an interviewer asks members of the London public what the word might mean. None of those interviewed knows the name. This, I think, is how most English speakers would read the written word. In fact, gluten is the only common word of English whose spelling ends -uten. 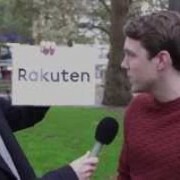 Towards the end of the Rakuten video, the interviewer aims at a pronunciation more like this, with a heavy stress on the end, but it seems to be an effort. To get a natural pronunciation closer to the Japanese one, I think most English speakers would have to see a written form like Rack Ten or Lack Ten. So I’ve opted for rəkʉ́wtən as the phonetic transcription in the CUBE dictionary. I think the Rakuten company will have to spend a lot of money on TV advertizing in the UK if they want to teach the British public to say RA-kə-tən. https://www.englishspeechservices.com/wp-content/uploads/2015/03/rakuten.jpg 201 357 Geoff Lindsey https://www.englishspeechservices.com/wp-content/uploads/2019/03/blue-mono-logo-small.png Geoff Lindsey2015-04-19 16:46:122015-06-01 19:10:45What is Rakuten? I have one question Feel the p*n*s?